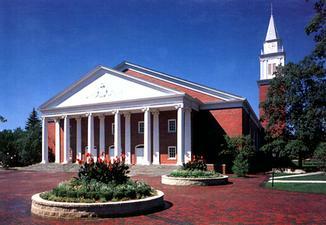 It is 1999, and I am sitting in my first course at Wheaton College. It is Greek 101, and I am in an obscure classroom in the Edman Chapel tower. Dr. Scott Hafemann is energetically bouncing around the front of the room, brilliantly inhabiting the dikaiosune of God, the power of the Reformation, the thrill of Greek, and the abundant joy higher learning. I am hooked. The “verse of the year” was Psalm 103:1, and our Greek professors jointly agreed that we should memorize it from the Septuagint (the Greek Old Testament). I’ve forgotten many things, but those words are emblazoned in my mind: Eulogei he psuche mou ton kyrion kai panta ta entos mou to onoma to hagion autou—Bless the Lord, O My Soul, and all that is within me bless His Holy Name. It is 2013, and I am sitting in my office, preparing a sermon on Mary’s Magnificat. I take out my Greek Bible, well-used, and turn to Luke 1:46. Suddenly, reading Mary’s song, I’m back in that obscure tower reciting verses in Greek, because Mary begins her song like this: Megalunei he psuche mou ton kyrion kai egalliasen to pneuma mou. Echoes, references, allusions. I check, and every major translation offers some version of, “My soul magnifies the Lord,” but what was self-evident to me—what is self-evident to me—is that Mary is clearly quoting, or referencing, the Psalms in her song. It should read, “Magnify the Lord, O My Soul,” because Mary is adapting Psalm 103 as she praises the Lord in Luke 1. As I looked closer, evidence mounted that this was the right line of inquiry. In verse 50 of her song Mary quotes Psalm 103:17. Then in verse 53 she quotes from Psalm 107:9. And this means that whatever meaning we draw from Mary’s song must be intimately linked to the message of the Psalms. The God, Mary claims, Who does these things is doing them in me. The God Who pardons, heals, redeems, crowns, and satisfies, is performing those actions in me. The God Who works mighty deeds, rescues the oppressed, has revealed Himself in history, is compassionate, gracious, slow in anger, abounding in love, Who removes our transgressions from us and restores us to Himself, is performing these actions in me. This God, who does These Things, is doing them Right Now. And this is profoundly Good News. So Mary sings a song about it. Psalm 107 opens with a statement about the love and power of the Lord, Who redeems His people, and gathers them back from their adversaries. In Scripture-speak, to gather is always good news; it is the opposite of scatter, which is the horrible business of losing your home, your king, your people, and your temple because of God’s judgment upon your infidelity. It is, in summary, the language of exile. Mary, in other words, voicing the heart of a first century Jew, sees herself as in the land but still in spiritual exile. She and her people are back home, but still not right with the Lord (otherwise, how could Herod, an Edomite, be king? And those Romans?!). After this opening statement Psalm 107 walks through a series of four cycles—four groups of people who find themselves in trouble. Wanderers in the wilderness (verse 4—exile! ), prisoners who have rebelled against God’s word (verse 10), the sick who are afflicted because of their rebellion (verse 17), and those who go in search of wealth on the seas (verse 23). Each group is brought to frustration, and at their point of despair each group “cried out to the Lord in their distress” (verses 6, 13, 19, and 28). Upon crying out, the Lord rescues them. Mary’s message? The God who does this—the God who rescues His people, even from their own folly and rebellion, is rescuing them even now in her. This God, the rescuing God, the God Who hears the cries of His people, the God Who answers the afflicted, is answering His people once again, right now, in me. The God who returns His people from exile and restores to them their rightful king is bringing about the birth of that king, the agent of perfect justice and righteousness, in me. Mary has good reason to praise the Lord, and so her soul magnifies the Lord, and does it in a profoundly psalmic kind of way. I wanted to capture the ‘psalmic’ quality of Mary’s song—which I think is missing startlingly from modern translations—so I’ve made a pass at retranslating the Magnificat. Naturally, I’ve had to take a couple of liberties for the sake of clarity, but I think this version, both in format and content, captures nicely the essential and psalmic message of Mary’s song. I offer it to you below. Magnify the Lord, O my soul! Rejoice, O my spirit, in God my Savior! And His mercy to generations and generations of those who fear Him. To Abraham and his seed for eternity. The rhetoric of the “mighty arm’ stretches across the Ancient Near East. 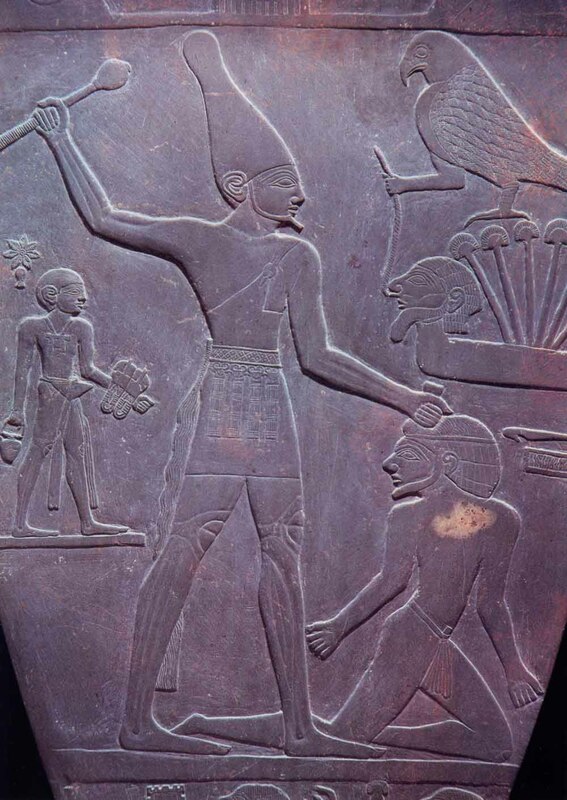 This Pharaoh even had his arm-deed engraved in stone! Observe how the two parts of Mary’s Psalm echo nicely the two Psalms that are her source material. In the first part she speaks to the compassion of the God who saves, uplifting His character as the God Whose mercy is to generations of those who fear Him. This God has ordained that He will accomplish His mighty works through the womb of Mary, and because of this all generations will call her blessed. Then, in the second part, Mary documents some of the mighty deeds of God—echoing the mighty acts of rescue performed in Psalm 107. The word for “power” in Greek is kratos—it denotes not merely power, but the working of mighty deeds. They are worked en—that is through, or by means of—God’s arm. What follows, then, is the list of these actions performed through God’s arm, a documentation of God’s mighty deeds: God’s power scatters, removes, exalts, fills, dismisses, helps, and remembers. Why, then, does Mary sing this song? What is the Good News that makes her burst into song? It is, in short, the Good News that the God who does these things—the God who has delayed, the God who has promised—the God of compassion and restoration from Psalm 103 and the God who answers human need from Psalm 107—is finally accomplishing those promises. What is more, this God, Who does these kinds of things, is doing this good work in Mary. Everyone, from now on, will be affected by what God is doing in Mary. So Mary sings about it. This prompts a more serious question. Is this Good News to you? Are you the kind of person who gets exited about these promises? Can you see yourself in this song? In short, is the gospel Good News for you? Because God scatters the proud, the Gospel is not for those who are proud. Because God reduces rulers, the Gospel is not for those who rule. Because God exalts the humble, the Gospel is for the humble. Because God fills the hungry, the Gospel is not for those who are full. Because God sends the rich away empty handed, the Gospel is not for the rich. Because God rescues His people, the Gospel is for those who call on God as their Lord. Not blessed, in other words, are those who are rich now. Not blessed, in other words, are those who sit in power now. Not blessed, in other words, are those who are content now. Not blessed, in other words, are those who are proud and self-satisfied in their hearts now. The Gospel, in sum, is not for people who are content with the status quo. The rich, the proud, the rulers—they are people who have adapted themselves and their ethics to the status quo. They have found their place in the world. They have a vested interest in preserving that space, in holding on to their territory, in keeping what they have. To such people the coming of King Jesus is a threat, an unsettling, a shuffling about. His arrival is world-changing, wealth-changing, power-dynamic shifting. And to any person who has accommodated his life to the status quo, the coming of Jesus will be profoundly judging. I studied under and worked for Darrell Johnson while I was at Regent College, and he used to talk about his time as a pastor at Union Church in Manila. He was there during the Marcos Dictatorship, and several pastors and high ranking military officers advised him to stay away from preaching the Magnificat. Why? Because they understood, implicitly, that the words of Mary’s song challenge the status quo. These are fighting words against the existing power of the world. Do you have power now? Jesus is coming to take your power away. Do you have wealth now? Jesus is coming to redistribute your wealth. Are you self-satisfied now? Jesus is coming to destroy your contentment. And all of this because the Good News is bad news to people who like the status quo. The true exposes the false. Consider it this way—the coming of Jesus is the revelation of the true. His revelation reveals what is real. When we see him it is like seeing a perfectly straight line—the only one of its kind. 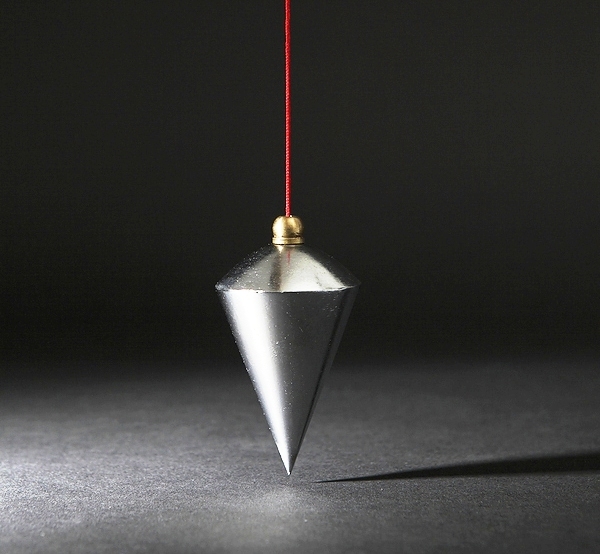 A friend of mine likes to say that the plumb line of Jesus Christ exposes the scoliosis of our souls; in light of his standard, every one of us comes up crooked. However, if you like being crooked, if you have made a life’s habit of telling yourself that crooked is really straight… in that case, Jesus’ Good News is going to be terribly Bad News for you. Ultimately, what this means is that the Good News is for the needy. It is for those who need God; for those who are unhappy with the status quo. The Good News, echoing Psalm 107, is for those who cry out to the Lord in their need—not for those who can trust in their power, their fullness, their self-sufficiency, and their wealth. Blessed are those who hunger and thirst for righteousness—those who choose to suffer for what is right; those who refuse to compromise with what is wrong in the world. Blessed is the man, woman, and child who willingly embraces neediness for the sake of God’s justice. And so I ask again, is the Gospel Good News for you? Are you able to hear Mary’s song and enter into it with celebration? Or does Mary’s song place you on the judgment side of the coming of Christ? If the answer is ‘yes’—and for most of us living in North America it very well may be yes by default—then we’re not without hope. God is faithful, according to Psalm 107, even to those who by their own ignorance and foolishness have crafted their own prisons. What can we do, then? How do we get on the right side of the gospel? 1. We can reject pride and self-sufficiency. This is the beginning of the Gospel. The First Beatitude states that “Blessed are the poor in Spirit, for theirs is the Kingdom of Heaven.” Blessed, in other words, are those who are needy for God. How can we become needy? We can fast, pray, give sacrificially, serve, and abandon self-righteousness. Through and alongside these, we can recognize a critical fact: if you have power, acknowledge that power and use it for the benefit of others. Power is never yours to possess and hoard; power must always be employed in obedient service to God. Honor Him Who is Holy with your life and conduct. Honor Him with your whole mind, body, soul, and strength. Make the Fear of God the guiding principle of every action, choice, belief, meeting, deed, and so forth. Am I fearing God when I drive? When I type? When I talk to my wife? When I discipline my kids? When I’m online? When I’m at the water cooler? When I watch movies or television? When I visit with friends? When I spend my money? When we reverence the Lord like this it changes our perspective, especially because questions of conduct are not based on what is expedient, but rather on what is God-honoring. Am I doing what is convenient, or what is right? The answers will be life-altering. Belief changes you. It is the place where God’s power invades and manifests itself in your life. In this, Mary is a paragon of faith. Consider her prayer at Luke 1:38, after the angel Gabriel had announced his marvelous news: “May it be to me according to your word.” We believe after the pattern of Mary. We are exposed to the word of the Lord—both His words of judgment and of grace—and we say in response to His revealed word, “May it be to me according to your word.” In this kind of belief there is a fundamental acceptance of God; a foundational confession that His way is true and right; an existential self-anchoring on the revealed salvation and work of God in Christ Jesus. In this way we allow God to do the work of making you the kind of person for whom the Gospel is Good News. Then, rejecting pride, fearing the Lord, and believing—Christ is born in us anew, as he was born in Mary all those years ago, to reign as the King of Kings and Lord of Lords forever. May he be born anew in all our hearts both this day and every! Hodie Christus natus est! I grew up in the States, and one of the odd differences between the US and Canada is that people here decorate their homes more for Halloween than they do for Christmas. You are liable to see more skeletons in the yard than you are Christmas lights; more giant inflatable spiders than Santa Clauses on roofs. And, while the Nativity scene is a common installation in the yards and churches in my hometown, I don’t recall seeing many, if any, here in Canada. I’m not sure that this trend signifies anything, but I do find it interesting. Now, the nativity scene in a yard, like skeletons or spiders, doesn’t necessarily indicate significance—sadly it represents something more sentimental, ornamental, and kind of kitschy. It’s a thing people do, not necessarily a thing people understand. After all, the nativity scene is a collector’s dream—you can get all the pieces, animals, shepherds, wise men—and then you can wait to put the baby Jesus in place on Christmas Eve. 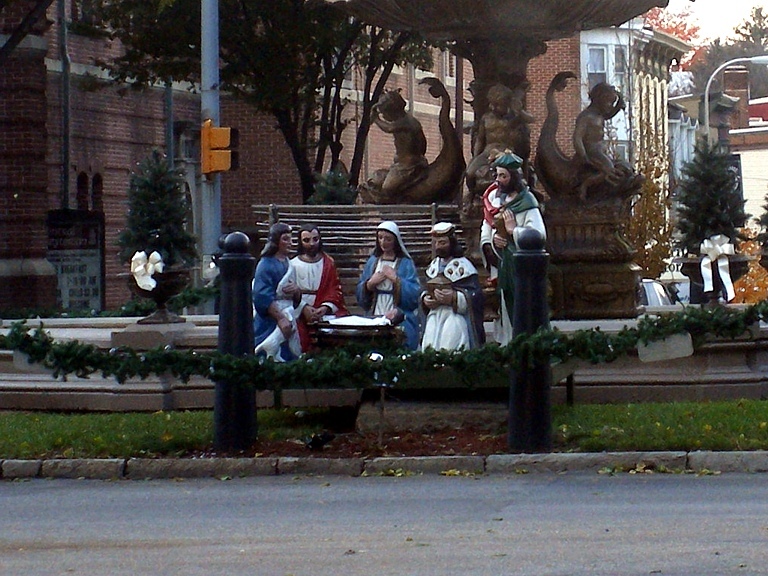 The whole idea of the Christmas play, where children act out the story of Jesus on stage, is part of this trend as well. In some churches the play becomes a huge affair—live animals are rented and going to church on Christmas is the same as going to the zoo. And in that key moment, when everyone is assembled on stage—camels and sheep, cows and children, angels and wise men, Mary, Joseph, and the Johnson family’s new baby playing Jesus, how can there be anything but chaos? And the truth is that no matter how nicely you dress up the figures, no matter how expensive they were or cheap, no matter if you bought them at Wal-Mart or Tiffany’s, no matter if you have live animals or two unfortunate children inside a donkey costume, there will always be something incredibly awkward about the nativity scene that no amount of effort can eliminate. After all, how could the meeting of the highest heavens with a stable not be kind of kitschy? Like dressing a dog in a ballroom gown, it will always look a little ridiculous—and this picture is ridiculous. A stable for a birth? Have any of you ever been in a barn and smelled it? Have you ever driven through Langley when they’ve fertilized the fields? And who are Joseph and Mary but a couple too poor and too unknown to afford room at the inn? Then, poor shepherds show up out of nowhere, likely owning little more than the clothes on their backs, adding the smell of their sheep to the mix, and saying that some bright sky-beings had told them to come see a baby. Lastly, a group of wealthy wise men from a far-off land show up bearing expensive gifts. The scene is crowded, and noisy, and smelly, and unexpected, and wealthy people rub shoulders with the salt of the earth, and the whole thing, in fact, is just a little crazy. If it weren’t one of the most reverent moments in history, I suspect our second reaction would be to giggle a little bit. This cramming together of the unexpected is a huge part of what Christmas is about. And far from being frustrated by the kitsch of the nativity scene, I love it. Because each of these elements—the poor shepherds, the middle-class Mary and Joseph, the upper-class wise men, the animals, and even the backwater stable are brought together, unified, changed and transformed, by the presence of the baby born that night. On the night Christ was born, a new family—a new kind of family—was born. This was a great reversal. Typically a young couple get married, buy a house, then have a child, then another. They become a family first, then add children to the family. But here, with Christ’s birth, the child comes first and the family comes second. He is born, we say, of the Virgin Mary—which is to say that Joseph had nothing to do with Jesus’ birth—it was neither his choice nor actions, but rather by the special action and choice of God. And this backwards birth begins a backwards history. Instead of becoming a family by virtue of blood, or parents, or class status, or region, now we are made a family by proximity. Instead of relating to one another by genetics, now we relate to one another by our connection to Jesus. The birth of the child-king changes everything. Around this child, wealth and status are immaterial. Around this child the identity of your parents doesn’t matter. Around this child racism is slaughtered. Around this child all that you’ve done in your past can be forgotten. Around this child strangers can meet and find that they are brothers and sisters. Around this child wars cease, true freedom comes, and life is given to all people. Around this child the true brotherhood of mankind is born. For this child-king is the head of God’s Church, and if the Nativity scene means anything at all, then its meaning is that this is the first picture of what God intends for His people on earth: a messy, chaotic, conglomeration of people whose connection to Jesus changes everything about them. How did we get here? Follow the wise guys. How do we get to this place? How to we arrive at the Nativity in our lives? Tonight I want us to follow the wise men to the side of Jesus, so please follow along as we read the story from Matthew’s Gospel now. Let us stand together for the reading of God’s word. 9 After they had heard the king, they went on their way, and the star they had seen in the eastwent ahead of them until it stopped over the place where the child was. 10 When they saw the star, they were overjoyed. 11 On coming to the house, they saw the child with his mother Mary, and they bowed down and worshiped him. Then they opened their treasures and presented him with gifts of gold and of incense and of myrrh. 12 And having been warned in a dream not to go back to Herod, they returned to their country by another route. What I want to do now is use this story as a kind of map, teaching us how to get to Bethlehem by following the wise men. And I think the best way to figure out their plan is to ask ourselves a series of questions about their journey. I’ve come up with six such questions. First, who comes to see Jesus? The answer, Matthew 2:1, is Wise Men. It’s possible that you’ve never read this story before, but even if you have it is a story that is strongly informed by some historical accretions that have nothing to do with what Matthew records. One of these add-ons is belief that these wise men were three kings. It doesn’t say this. It only says that they were ‘wise men’—or, in Greek, Magi. Furthermore, nowhere does it say that there were only three of them. The number of wise guys is unspecified—all we do know is that they brought three gifts. So, that Christmas song, “We three kings of orient are” pretty much comes out of nowhere. The other thing is that these wise guys aren’t named—somewhere along the road they picked up the names Melchior, Balthazar, and Gaspar. I have no idea where these names come from, only that they seem to be regularly used in video games. Wise men come to see Jesus. They were probably ancient astrologers, who studied the heavens. They would have predicted eclipses and noted the positions of the stars. They were men who knew how to interpret omens and signs. And they were, in some sense, attuned to what God was doing. 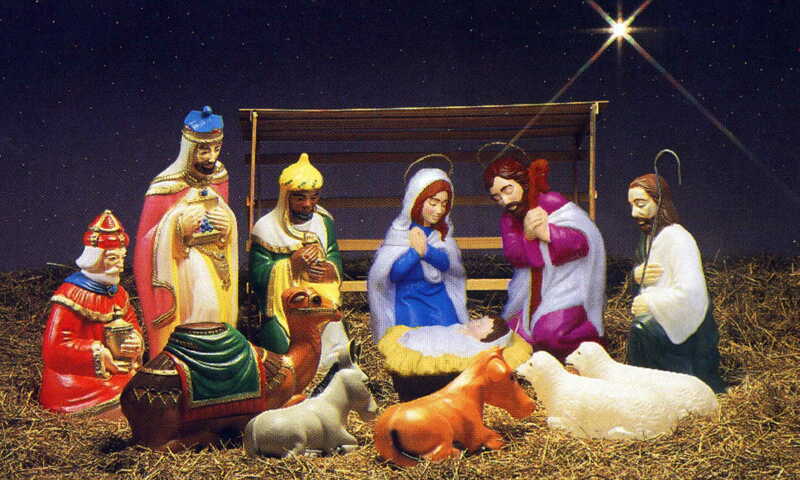 The second question is this: Why do the wise men come? They come because they were looking for a king. They don’t just show up, they aren’t following blindly, they know that they are searching for the king of the Jews, and they have come to honor him. Third: How do they find the king? Matthew 2:2 tells us that they saw his star in the East. They were studying the heavens for signs, and the heavens declared the birth of Jesus to them. These men were attentive to what God was doing, and they actively sought to respond to God’s heavenly message. 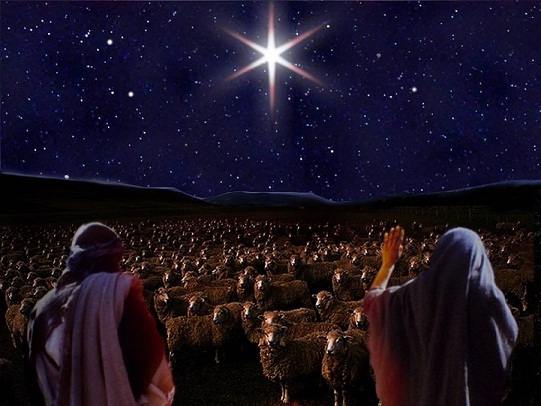 They followed the star from the east until they found the stable. Interestingly, other people don’t seem to be able to see this star—only these wise men. It is a special sign for them. Fourth, how many kings are in this story? 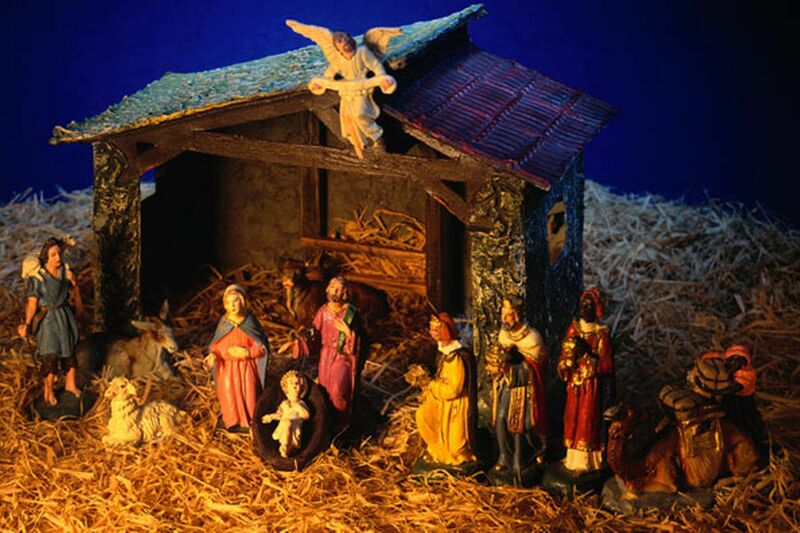 Well, we’ve already observed that the wise men weren’t kings—and what that means is that here in that stable there was only one king, the infant Jesus. Fifth, what do the wise men do when they find the baby? The answer, Matthew 2:11, is that they fell down and worshipped him. This is an interesting response—Jesus hasn’t done anything yet. He hasn’t performed any miracles or risen from the dead. But the very first ones to acknowledge his kingship are strangers from a far off, unknown land. They worship him on faith. Interestingly, their worship takes the particular form of the expensive gifts they bring. To worship is, in some sense, to give. Sixth, and finally, we must ask ourselves: who is the real gift here? And the answer is that the real gift of Matthew 2 is the birth of the Child King, who changes everything with his birth—the child whose birth changes the face of the world, the face of history, the meaning of family, of humanity, of wisdom and of giving and worship. It is not an overstatement to say that everything has to do with this king. Everything centers on who he is and what he is going to do. Herod, the other king from our story, threatened by the birth of this king, is about to murder all the infants in Bethlehem. He claims that he wants to ‘worship’ Jesus as well, but his ‘worship’ is the unholy sacrifice of children. And Herod knows that with the coming of the true king all other kings are invalidated. His power is threatened by Jesus. All power is threatened by Jesus. Because in this birth we don’t have just another king, but The King, the King of Kings, we have God in the Flesh, living among us to show us both the mercy and justice of God once and for all. This child, this fact of Christmas, is the central fact about which every soul on earth must make a single, decisive choice. Will I have him as my king? The choice is really between Jesus and Herod. Whose kingship will we submit ourselves to? The kingship that creates true freedom, and brotherhood, and economic justice, and right-relatedness with God and our fellow humans? Or the kingship that is built on earthly power, and murder, and class, and injustice, and ethnic identity, and bloodlines? The Church, this hodgepodge gathering of people from all classes and walks, is the people who claim Christ as their king—not that we do it perfectly—because only he is perfect—but we cling to him, center around him, gather in all our oddness around him, find our commonality around him, are made new around him, and through our connection to him find that we are given strength to live the new life as God’s new people, His new family, here on earth. How do we get to the side of Jesus? 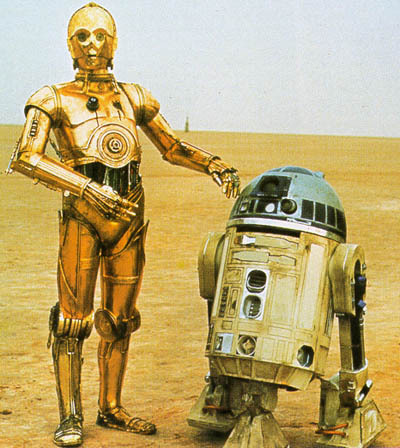 The wise men have shown us the way. We must be wise like them. We must open our eyes to what God is doing in the world. We must search all of creation for God’s words, as they searched the heavens for His signs. We must follow those signs to where God leads us. When we arrive, we must acknowledge that there is only one king, only one lord, and we must, like them, fall down and worship that king. Because the only way to overcome the tyranny of self, the tyranny of power, the tyranny of human hatred and war and violence and injustice, the only way is through bending our knees in submission to Christ the King. And having bent our knees in submission, we will receive the true gift of Christmas: Christ himself, given to us, for us, to transform us into God’s awesome people. And when we receive the gift of Christ, we receive one another as well. I hope that you, like me, want to find your place at the nativity of Jesus. So the next time you see a nativity scene in the middle of nowhere, remember that it’s right where it belongs. Where you, merely passing by like a shepherd in the night, can for a moment find your place as a witness to the birth of Christ. Every Nativity scene is an invitation. And the good news is that you don’t have to be dressed up, although nice clothes don’t eliminate you. You don’t have to have the right parents. You don’t have to have a certain amount of money in the bank. You don’t have to have expensive gifts. All you have to have is a willingness to worship Christ as your Lord and King, and you will become part of this new family. This is Part 3 in a series about the nature of faith. Part one dealt with what faith is and how we do our part of faith. Part two discussed God’s part in faith and the nature of doubt. This post concludes the series. When we began this sermon I said that I would define faith, and that once I had defined it it would have three effects on you. First, I said that you would know what faith is so that you can do it. Faith, you now know, is saying “Yes, I believe” to God, placing your trust on the reality of Jesus Christ. You now know what you are supposed to do with faith; choose to believe. Second, I said that you would know what to do when faith was tested. And you know now that when your faith is tested the thing you need more than anything else is a community of faith around you. So many people enter into a test of faith and think, “I just want to figure things out on my own for a while.” And I just want to say to them, “Good luck with that; let me know when you get tired of being lost, alone, and unable to find your way out.” Faith never occurs in a vacuum. The third thing I said was that, knowing what faith is, you will have an answer for people who say, “I’ve lost my faith.” Let’s take a few minutes to discuss this phrase for a moment. We’ve already pointed out that faith is not a feeling. And yet many people who say they’ve lost their faith only mean, “I’m not feeling it like I used to.” Having made their faith dependent on feelings, their faith is as fickle as their feelings. They need to learn what faith is first. They need to learn that belief is more than a matter of feeling a certain way. Other people say they’ve lost their faith because they’ve accepted the false vision of faith pressed upon us by our hostile world. They begin to learn about the universe, about science, and conclude that faith is impossible, or ridiculous, or both. But clearly the scientific vision of faith is a caricature. They don’t need the kind of faith that science ridicules; they need real faith in the God who stepped into history personally. Some people genuinely begin to doubt the claims of Christianity but do this forgetting that it is the nature of faith to be tested. They begin to wonder if what we preach is true. But if you have accepted Christ and received the Spirit, you must cling to the Spirit and His influence more than your doubts. The Spirit is your flashlight when doubt’s darkness descends. Don’t forget to turn it on and use it! Faith, remember, is the concert of human and divine wills—don’t let your fickle human will be the only power you access, but turn to the Spirit. A life of faith, after all, is a life where you are trusting in God each and every day, hour, and moment. It is, in the most profound sense imaginable, a spiritual life. "This way looks much easier!" ~ fateful words indeed. All that said, I think there are three simple reasons why people walk away from the Christian faith. First, a person loses faith when they lose focus on Christ. When they turn their eyes to other things—sin, desire, passions, a girlfriend or boyfriend, a job. When Christ becomes secondary, faith fades. Second, a person loses faith when they step away from the Church. I have already pointed out the necessity of Church for faith. You cannot do this faith thing alone. You are not meant to. But if you run off on your own your faith has about as much chance of surviving as a naked man without water in the middle of the Sahara. In other words, zero. When someone says, “I’m losing my faith” there’s a good bet they’ve stopped being part of the church. Third and finally, people lose faith when they compromise on their commitment to doctrine. This is the least popular reason for losing faith today, but it is one of the subtlest and most pervasive. When we lose our commitment to doctrine it means is that we are choosing our own faith over the faith revealed to us. We are no longer accepting God’s revelation, but trying to bargain our way into a faith that we feel is more comfortable, less demanding, and perhaps more popular. Compromise on truth, however, and faith will fade as well. The Spirit who makes your faith live will not tolerate your willful rebellion against His ways. Faith, then, is not a feeling, but a believing—a placing of our trust—in the revealed and real history of God, speaking for Himself in Jesus Christ. It is the combination of Divine Gift and Human Belief, aided and maintained by the Spirit of God. It is tested because God does not compel but desires us to freely choose Him. And it is lost when we deviate from Christ, the Church, or Doctrine. 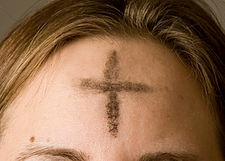 This, Church, is our faith. 1. How does this change your understanding of faith? 2. 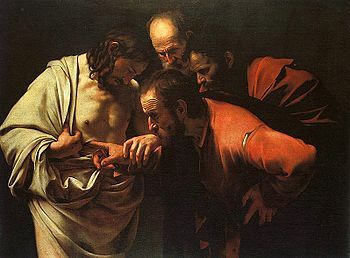 How does this change your understanding of doubt? 3. 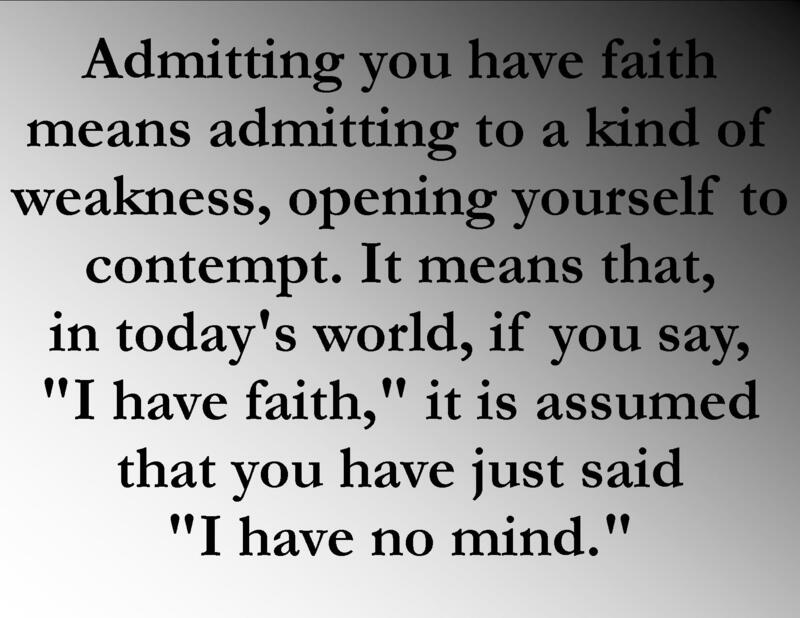 If a friend came up to you and said, “I’m losing my faith.” What would you say in response? That first part of faith that we’ve discussed is our portion of faith, but faith is not just ours, as if it were a thing entirely up to us. In the scriptures faith is described as a gift. And the giving part of faith is God’s work. In this, God helps us to believe. He helps us to have faith. What that means in practice is that we do not believe blindly and without reasons; we believe because God has given us reasons to believe. Christ on our foreheads; Christ the thought within our minds and hearts. In the simplest terms, then, genuine faith is always reasonable. The decision to believe is an honest choice made because of the reasons presented to you by God. And we are able to make this choice for two separate kinds of reasons, broadly speaking. The first of these is because our faith is historical. And what I mean when I say historical is that what we believe really happened, and therefore believing in Christianity is on the same order of belief as believing in the fall of Rome, the rise of Nazi Germany, the founding of Canada, the birth of Mahatma Gandhi, or any other historical fact. Open your bibles with me to the book of 1 Corinthians, chapter 15. Paul in this letter is writing to correct a host of abuses at this church he had founded, and near the end of the letter he goes back to the central, essential basics of Christianity to make his point. Follow along as I read it now. Christianity rises or falls on the fact that what we say actually happened. We believe. We don’t wish hopefully. We don’t try to drum up nice feelings about this. We believe that Jesus Christ came in the flesh, lived on the earth, was crucified under Pontius Pilate, died, and rose from the dead on the third day. On this we live or die, and without it we are nothing, the scum of the earth. If someone asks you what your faith is, your simple answer is some form of the creed, or 1 Corinthians 15. I believe in Jesus Christ. This is the first way that God helps us to believe; He has acted, personally, actually, truly acted in history. And the second reason that our faith is reasonable is because of who Jesus is. Jesus is the Word of God. Let me explain. Look with me at John’s gospel, the first chapter, the first words. “In the beginning was the Word, and the Word was with God, and the Word was God. He was with God in the beginning.” That word that John uses for ‘word’ is terribly important—it’s the word ‘logos’. And more than just ‘word’ is means reason; it identifies speech, and sensibility, and what is right in the universe. It is embedded in our words “theology”—a system of thinking about God; “psychology”—a system of thinking about human nature; “biology”—a system of thinking about living things, and so forth. 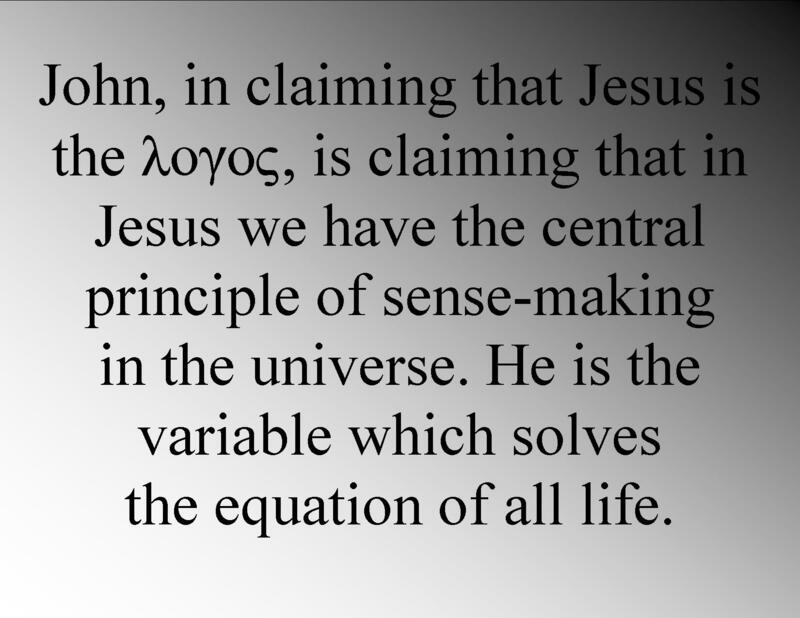 John, in claiming that Jesus is the ‘logos’ is claiming that in Jesus we have the central principle of sense-making in the universe. He is the variable which solves the equation of all life. That this is a gift that supports our faith becomes clear as we reflect on what is being said here. John (and the other New Testament authors with him, by the way) claims that God himself took on flesh and walked among us. That the person of Jesus Christ is actually, really, truly, God Himself speaking and acting and living in our midst. That our faith, our saying “yes, I believe” to God, is based on something that God Himself said. This is great news for us, because we are a people who are time-bound, culture-bound, history-bound, and earth-bound. The only information we can get about things like eternity, time, and the purpose and destiny of humanity comes from our own limited, materially bound resources. Science, in its strictest sense, is the best that humanity can do, but as good as it is it can tell us almost nothing about God. Far from being a reason to doubt God, as many conclude, I think this makes good sense. After all, the only person in the universe who can tell us Who God is and What He is like is God Himself. He is an infinite, eternal, perfectly powerful, perfectly good, omniscient, omnipotent being. Limited as we are, and God being infinite as He is, means that only God can speak about God. We understand this intuitively in other areas of our lives. If you need plumbing help you go to a plumber. If you need help getting in shape you find a physical trainer. But who do you go to if you need help with divine matters? Who from an earthly perspective can say anything of substance about eternity with any authority? Who better to speak for God than God Himself? And that is precisely what we have in Christ: God, speaking for Himself, authoritatively; Jesus, the logos of God; Jesus Christ, absolute reason perfectly embodied in human flesh. This is a big part of what we mean when we say that the Christian faith is revealed. It was not something men invented on their own; it is not a myth. It is not something that we chose because we thought it convenient; our theology is not based on what we like and dislike. Our faith is something we believe in because we believe it to be true. In Christianity, God has spoken. Having faith means listening to and agreeing with Him. Faith, then is a combination of human and divine work. 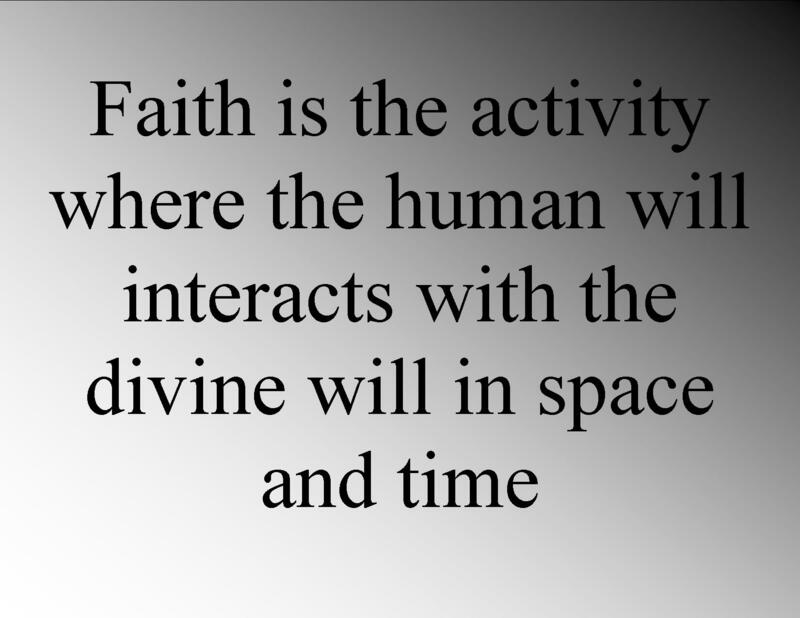 Faith is the activity where the human will interacts with the divine will in space and time. It is the work of humans because we must choose to believe. It is the gift of God because the content of what we believe is something He has revealed to us; something we could not have known on our own. And so this is what it means to have faith: to believe God when He spoke for Himself in the person of Jesus Christ; to say, “I believe this,” and commit to believing it in the face of your changing moods and feelings; and then to commit to conforming your life to Christ and his teachings. A further, critical thing happens that is essential to this combination of human and divine in faith. When we believe what God has revealed to us, He gives us His Spirit to help us believe. The Spirit is a gift that seals a believer with God. The Spirit maintains faith. The Spirit encourages the heart. The Spirit is what works to create the obedience of faith within us. Having believed, we receive the Spirit, and the Spirit begins to change our personalities in impossible ways. In this, through believing, we become living testimonies to the continuing work of God in the world. Faith in others can then be created through God working in the real, living history of our lives. You may ask, and many others have asked this, if our faith is based on reality, on what really happened, then how come there are people who don’t believe? If God has proved himself in history, why doesn’t everybody believe it? And, more recently, some of you have asked, “If faith is a gift, why doesn’t God give it to everyone?” There is a common answer to each of these questions, and it stems from the nature of faith itself. And that is the truism that Faith is always tested. It is part of the nature of faith that it must be, will be, tested. If you are going to have faith, you must expect testing. Let me explain this further. God gives us the gift of our faith—He reaches out to us supernaturally—but He does not do this in such a way that it violates our freedom to accept or reject Him. We are always free to choose God, or not choose, God. That is part of our human nature—that God has given us the gift of freedom—and God does not violate this human freedom. We possess this freedom because we are creatures made to love, and love that is compelled is not true love. Only love that is chosen and committed is true love. And this, quite simply, is the reason why not everyone believes. And it may seem strange for you to hear me say this, but the very fact that people don’t believe the gospel, however sad that is, is itself comfort that the gospel is true. That God gave humans freedom, that humans misused their freedom to sin, and that the restoration of humans to God involves God reaching out to humans and humans needing to respond with faith. Of course some people are going to reject the gospel, because the God who is revealed in the Bible doesn’t compel people against their will. If everyone believed I would be suspicious that God had compelled us. What this means for us, in part, is that faith and doubt always interplay together. Our world is not a place of perfect clarity—if it were, it would be a place of compulsion, and that is not how God works. 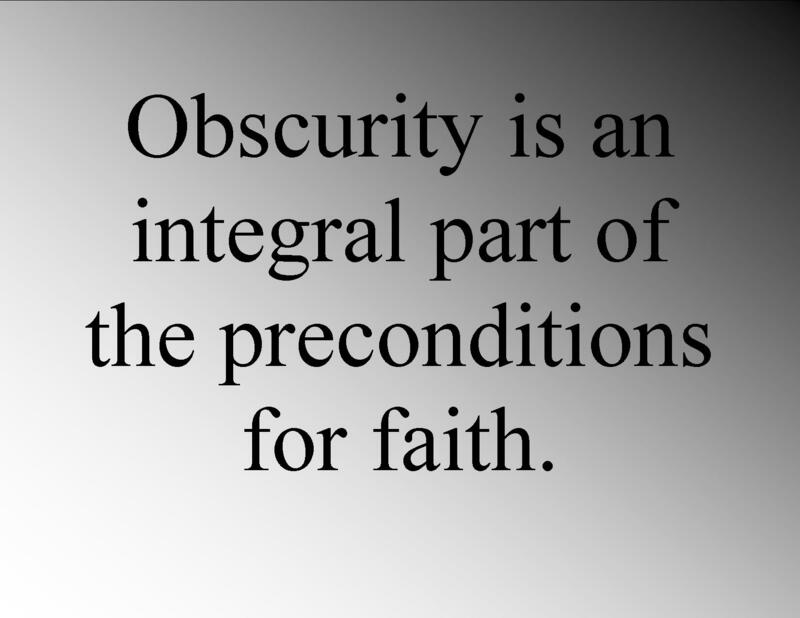 Obscurity is an integral part of the preconditions for faith. Blaise Pascal, scientist and Christian apologist, says that there is enough light in the world so that people who choose to see can see clearly, and enough darkness so that people who refuse to see are also confirmed. The doubt of our world is part of God’s design for faith; it creates the conditions where faith is tested, and proved. We are tested in a host of ways. And in all these ways the same response to the test is called for: we view our temporary test in light of what we know to be true. In all this we must remember that tests are temporary. No test of faith lasts forever. In this our spiritual lives are like hikes through mountains and valleys. In moments of spiritual clarity we stand on top of a mountain. We can see great distances. Our journey is before us. 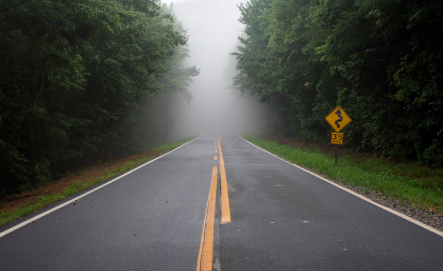 We can see the road and we have hope. For many people, their conversion to faith is a mountaintop experience. But we cannot stay on the mountaintop. We’ve got to descend into the valley. While we are heading into the valley we remember the mountaintop clearly and still have hope and encouragement, even though things are getting darker as we descend. Many of us judge our circumstances only by what we can see in the moment, forgetting perspective in the process. Then, when we reach the trough of the valley, we are in the full swing of doubt. Clouds obscure our vision of the mountains. We are tempted to lose our way. We begin to wonder if there ever were mountains at all, if there ever was a spiritual experience at all, and if any of this really matters. But as Winston Churchill once said, “If you find yourself walking through Hell, don’t stop!” Keep moving forward. Eventually you will come upon another mountain. Things will begin to clear. New vistas will emerge, and in time you will come to the top of another mountain. From that vantage point you can look back on the valley you went through, and forward to the future of faith. Throughout this whole journey we must remember the mountain. We’ve got to judge the unclear by the clear. We’ve got to measure our faith against our experiences, and not judge our faith by our experiences alone. We must—we absolutely must—have the assistance of the Church as well. This is one of the mysteries of the faith as well, and an essential one: Christian faith always happens in community. The Church is a community of faith because we support each other on our faith commitment. Think of it this way. One of you will be on the mountaintop, another heading into the valley, a third will be stuck on the valley floor, another will be on your way out. Only together to we have a complete picture of the landscape of faith. And when you are blinded by doubt the best defense you have is to trust in people who have a better vantage point than you. That’s what the Church is. What are the things we experience in the valley? Chief among them is our passions—our desires for sin, our whims, our fleeting thoughts. Each of these tests our convictions. Remember that faithfulness and unfaithfulness are measurements of our obedience. How you behave in the moment of testing is terribly important for your faith, because in those moments of passion we’ve got to make a choice—will I remain faithful, or will I cave to this moment? Our sinful desires are the most common test of our faith, but another test is that there will be times when God removes His hand of favor to see if we are choosing Him for Himself, or for what He gives us. He withdraws His presence from us to test us—and the test is this: have we really chosen God for God, or because God makes us feel good? This is the whole story of the book of Job. Through the test of faith we must maintain perspective through community and hold fast to what we know when things become unclear. They will become unclear. The only question is whether or not you will remain faithful. 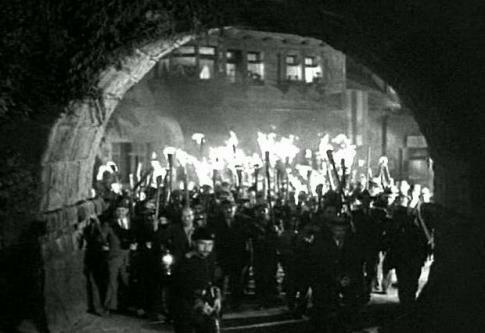 Declaring yourself a Christian sometimes feels like inviting a riot. I’m calling this series “Thriving Faith in an Antagonistic World,” and really the title should say it all. I want your faith—your trust in God—to thrive—to grow, live, and reproduce—in a world that is antagonistic to your faith. I say that the world is antagonistic because it is. The world is the enemy of your faith. It doesn’t want you to succeed in loving and serving Jesus. It wants to cripple you. I, of course, inhabit a community of faith. The vast majority of my interactions with people on a regular basis is with either Christians or people who are seeking Christianity. But over the past few weeks I’ve had time to reflect on your lives. I’ve interacted, increasingly, with some non-Christian communities online, and I am struck by just how hostile people are to our faith. Even giving an allowance for some of the mysteries of the internet, where masked and screen-named people feel released from social constraints and therefore say whatever hateful thoughts come across their minds, the attitudes about Christianity I’ve encountered, if they are at all accurate, are horrifying. The second argument weighed against Christianity is to claim that faith—this blind belief in the unknowable over and against reason—is to blame for a great many evils in history. All someone has to say in this argument is a phrase like: “The Inquisition,” or “Killing witches,” or, more recently, “Standing between loving gay people and their happiness in marriage.” And with a stroke the argument is made. As a Christian you are responsible for killing people who disagree with you and ruining other people’s happiness. And implied in this argument is the assertion that you are a fool for being a Christian, because Christians did those things and they were fools. Case closed. Caught in the middle between these two groups—between those with faith and those without it—non-Christian onlookers get pretty much all their information on what faith is from the atheist camp. As a result, they believe the lie that ‘faith’ and science are diametrically opposed, that to be faithful and reasonable at the same time is impossible, and that Christianity is all about destroying happiness. And regardless of whether or not they purchase the atheist line of thought, they certainly choose to remain in the middle, undecided. After all, if choosing faith meant becoming the kind of caricature that atheists uphold with regard to people with faith, then I wouldn’t want to be one either. A: Resolutely shutting your eyes to scientific fact. Q: What is the human intellect? A: A barrier to faith. And nothing has changed. She could have written those words yesterday and the perceived caricature of Christianity is just as accurate. And the frustrating truth of the matter is that this culture of anti-Christianity is so potent that we, within the Church itself, have allowed these false understandings of science, reason, faith, and history to be our understanding. 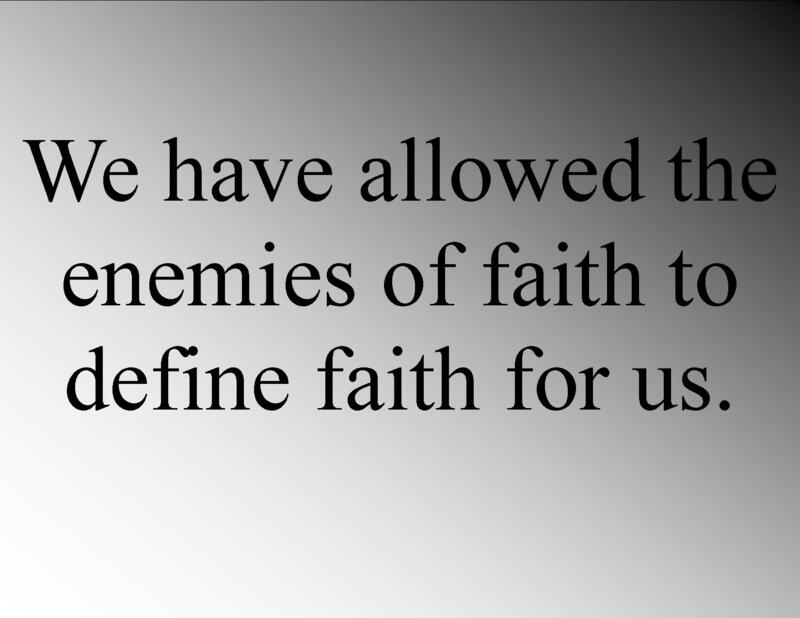 We have allowed the enemies of faith to define faith for us, which means that when we talk about faith, or even try to have faith today, we do it on their, false terms. Then, when we work to bring other people to faith, we even do that—our most important work, evangelism—on the basis of a misunderstanding of faith. Against these trends we must move from our perception of faith to the reality of faith; from the caricature to the real thing. Because if we are going to have faith in any meaningful way, we’ve got to define it for ourselves, and understand it for ourselves, so that we will know exactly what we believe and have a genuine answer for why we believe. Anything short of that is dishonest. I say all this to say that I have a new compassion for you all. I am concerned about your faith. Because whether or not you’ve come under attack yet, at some point I am confident that you will. And when that time comes, I as your pastor want to have done everything I can to strengthen your faith so that you can stand firm for what you believe, confident in the Gospel of Jesus Christ. In short, I want boldness to come from understanding. What I want to do with the remainder of our time today is provide you with an understanding of what faith is. This correct understanding should have three impacts on your life. First, knowing what faith is you will know what to do. As long as you think faith is the absence of thinking reason, you are guaranteed not to know what to do. Understanding faith is therefore like reading the instructions; we’re all idiots until we open the book. Second, knowing what faith is you’ll know what to do when faith is tested. And all faith is tested—it’s part of the nature of faith. But if you don’t know what faith is, you’ll misunderstand the test, and very likely fail it. Third, knowing what faith is you will know how to respond to someone who says the words, “I think I’m losing my faith.” And many of you, whether or not you’ve heard those words personally, may have thought them yourself. But most people don’t know what they are losing at all. I want you to know what’s going on. Let’s begin then, with defining faith. Ironically we’ve got to start off by identifying something that faith is not, and the first thing to say about faith is that Faith is not a feeling. For so long we have allowed ‘faith’ to be confused with a certain feeling of belief, a fervor, a kind of cheerful hope or ignorance, a “I don’t know I just believe!” with the accent on the ‘lieve‘ which is more suitable for girls who longingly daydream that they’re going to meet Justin Bieber and go on a date with him. In short, we have taken faith to be an emotion-packed wish. If you only wish hard enough, what you are believing in will come true. This is not to say that there is no emotion in your beliefs, that there aren’t periods in your Christian life when you will feel really faithful, and times when you won’t, but these feelings are not your faith. Faith, instead, is what you believe. Let’s get at this difference closer by talking about the word ‘faithfulness’. Faithfulness is that quality in a person who possesses faith and acts in accordance with it. A person with faith ought to be faithful. Now, to say that faith is a feeling is to say that faithfulness, as a way of evaluating our faith, is a measure of how much you felt God throughout your life. But this is highly suspect. We know already that our feelings are fickle. They change from day to day and hour to hour. Furthermore, my feelings are one of the most unreliable guides to action in my life. If I depended on my feelings to make all my choices, I would make terrible choices. My feelings cannot support my marriage. My feelings will not make me a responsible and truly loving father. My feelings will make me a fickle pastor. Just in practical terms, nobody maintains a sense of inner fervency at all times; everybody has periods when they’re down and low. Faithfulness cannot be a measure of your feelings because nobody here has control over his or her feelings. And so we must, we absolutely must, separate our feelings from our faith. They are not the same thing. I believe X despite my feelings. My belief in X means Y for my behaviour. Let me try and clarify this further, using marriage as an example. Faith means that I believe X. When I married Liesel, I chose her exclusively for the rest of my life. That is a belief, and I am choosing to believe it each day. If I say the phrase, “I believe Liesel is my wife,” I’m not offering a wish, but declaring a fact. Next, faith then means that I believe X despite my changing feelings. My feelings about Liesel change from day to day, but my marriage is a commitment that dominates my feelings, not the other way round. The next step of faith is that believing in X means Y for my behaviour. Because of my faith commitment to Liesel I must behave in different ways than I would otherwise. I provide for my family. I come home at night. I eat family meals with them. I don’t cheat or lie. I care for Liesel and Moses and Cates. Now, all three of these—that faith means I believe X, that I believe it despite my feelings, and that my belief has impact on my behaviour, reveal what it means to be faithful. I am faithful when my outer life accords with what I believe. I am unfaithful when it doesn’t. And therefore faithfulness and unfaithfulness is not about my feelings so much as it is about my behaviour. Did you feel it all the time? DID YOU? When you get to the end of time, and St. Peter meets you at the gate of heaven (as he seems to in all the cartoons) I want you to imagine that he’ll have two rubber stamps in his hands. One stamp will say “Faithful” and the other one will say “Unfaithful.” Which stamp you get will not by any circumstance depend on how you felt on a day-to-day basis about Christianity; it will depend almost entirely on your obedience to the teachings of Jesus. The life of faith—the faithful life—is not a matter of your feelings, but of your obedience. This, incidentally, is the meaning of the scriptural phrase “faith like a mustard seed.” The mustard seed is a tiny seed, but the plant that grows from it is quite large. And so mustard seed faith does not describe small faith in the sense of quality, it is that all faith, by the nature of faith, grows through repeated acts of small obedience. To plant a mustard seed is to perform a very small task. But planting it is an act of obedience: you are trusting in the nature of the seed. When you perform small acts of trust, God is able to work in your life. And so faithfulness, great faithfulness, as we see it in others, is always an accumulation of small faith-deeds. It is a lifestyle that reaps steady and gradual rewards. I say to you that there is no such thing as big faith and little faith—as if some people have great faith while others have small faith. All faith is small. It only appears big because it is accumulated. Let’s take a look at what faith is again then: Faith is the act of believing in something. For the Christian faith, it is believing in the central dogmas of Christianity. These are the very dogmas which we recited this morning in the Apostles’ Creed. This statement is, quite simply what we believe. It is not primarily a feeling, it is a statement of fact. That’s the first part of our faith. It is, in fact, our part of faith. We must do the believing. 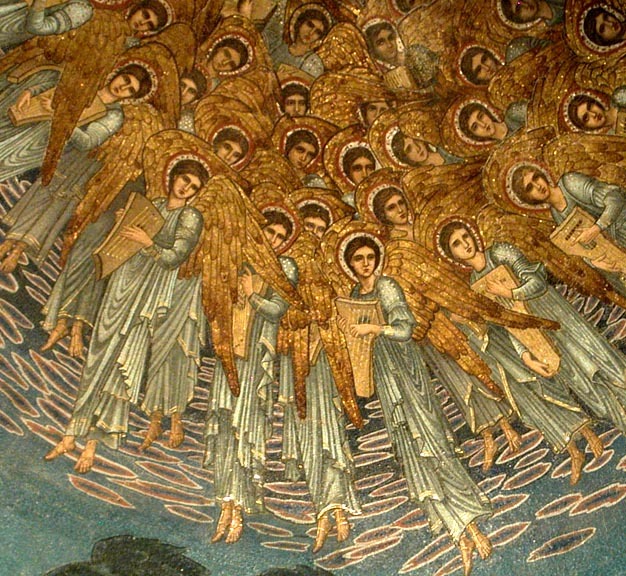 Our souls are ours, free to respond to God as we wish, and our Faith as Christians is our choice to respond to God’s revelation with belief. Faith is saying “Yes, I believe you” to God.